What is the Pearson Affiliate Program? Online affiliate marketing is a simple and cost-effective marketing model where you can post online offers on your own website and earn commissions on sales from any customer who purchases your book direct from Pearson after coming through your site. How much revenue can I earn as a Pearson Affiliate? Your commissions will be based on an 8% base-line fee. So, you will earn 8% on the total purchase made by a visitor who comes to us through your site. You'll also have the opportunity to participate in exclusive, limited-time promotions with increased commission rates. Can anyone join the Pearson Affiliate Program? Your site must be active. Can I join if I'm participating in another affiliate program (Amazon, B&N)? There are no restrictions when participating with our program. Authors are free to continue to participate with other programs. Can I participate from outside the U.S.? The Pearson Affiliate program is a worldwide program open to all affiliates who meet our acceptance requirements. Return Days are the number of days between the user's initial click date and application date from the affiliate site. Pearson pays commissions based on 60 return days. To better understand the concept, imagine an example in which a user clicks on a Pearson banner ad or text link from your site on January 15. If that user visits a Pearson site and completes a purchase within 60 days you will be paid a commission. Payments are processed monthly by LinkShare, and are paid out within three to four weeks of months’ end. Payments can either be made via direct deposit or by check. Affiliate payments come directly from LinkShare, not from Pearson. What form of payment will I receive? As an affiliate you have the option of receiving monthly payments by check or direct deposit. Your preferred method of payment is selected at the time of the registration. If you choose to receive payment by check, LinkShare will mail your checks to the address you provided when you registered to join the Affiliate Program. How can I track the success of my campaign? 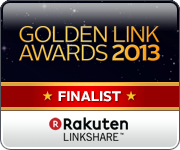 You can track the success of your campaign through our third-party technology provider, LinkShare. Once you become an affiliate, LinkShare will send you a username and password that you can use to track your results and commissions earned. Your account information is accessible 24 hours a day, 7 days a week. You can learn more about the reporting capabilities of LinkShare by visiting the Centralized Reporting website. Please email our affiliate program manager.